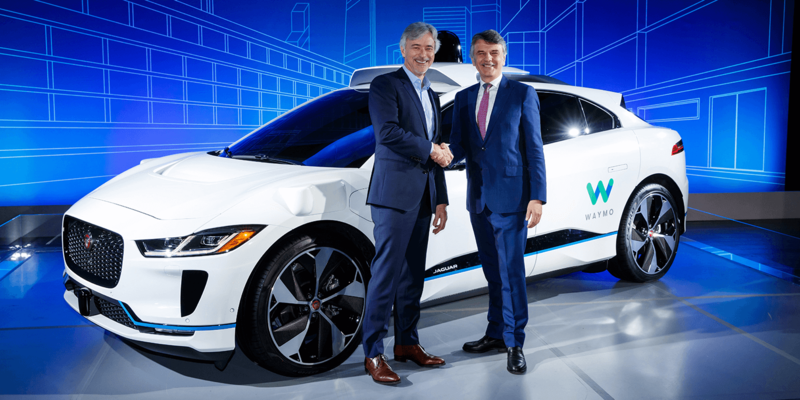 Those numbers promise a strong partnership between Jaguar Land Rover and Waymo that is formerly Google’s self-driving car project indeed. They operate a fleet with Chrysler’s Pacifica Hybrid vans already and said they ordered thousands more. 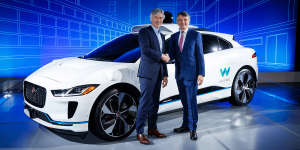 The Jaguar I-Pace is a different league though and engineers from both companies are to work together to apply Waymo’s autonomous driving technology. Testing of the self-running cat is to start this year and Waymo plans to order 20,000 I-Pace in the following two years to grow their fleet throughout 2020. Waymo is the only company to date that got approval to run tests with its cars without a driver at least sitting inside. Later this year, they plan to launch their ride hail service and pick passengers up in Phoenix, Arizona (we reported). According to the company, the 20,000 strong I-Pace fleet will be able to run about 1 million trips a day in their transport service. Waymo’s business model, apart from the ride-hailing fleet, will eventually also include tracking and logistics and licensing. Krafcik said they are also working with cities to help connect people to existing public transport networks. Jaguar is not the only carmaker that has turned to American IT specialists in order to offer mobility services. Volkswagen has teamed up with Aurora, an U.S. start-up founded by Google’s car guru Chris Urmson and former Tesla manager Sterling Anderson. Both partners seek to bring autonomous EVs to cities as Mobility-as-a-Service (MaaS) fleets. Also Daimler is cooperating with Google but in order to see what their quantum computers might do for the automotive sector. They could discover unknown battery materials and super-fast routing used in fleets and logistics for example.